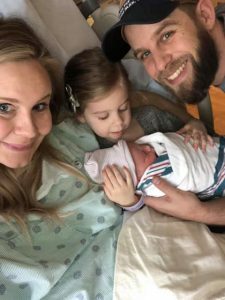 WBGL Morning Show co-host Lindsey Capperrune welcomed a daughter, Remy Lue on Monday, March 18. Remy was 7lbs even and 20 inches long. Remy joins Lindsey and her husband Adam and now big sister, Ruby. Everyone’s doing great!